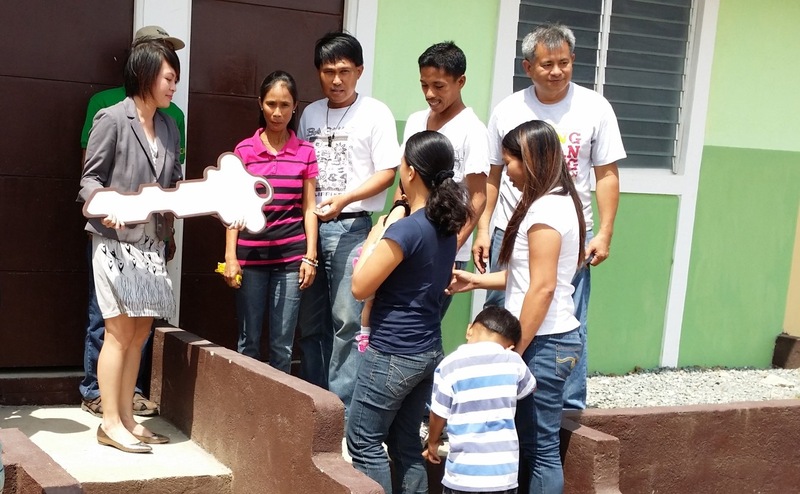 Last March 19, 2014, Anchor Land Holdings Inc. and Gawad Kalinga held a turnover ceremony for 111 finished houses (to add to the 30 houses turned over last year) at the Bayanihan GK Village located in Barangay Hugo Perez, Trece Martirez City, Cavite. 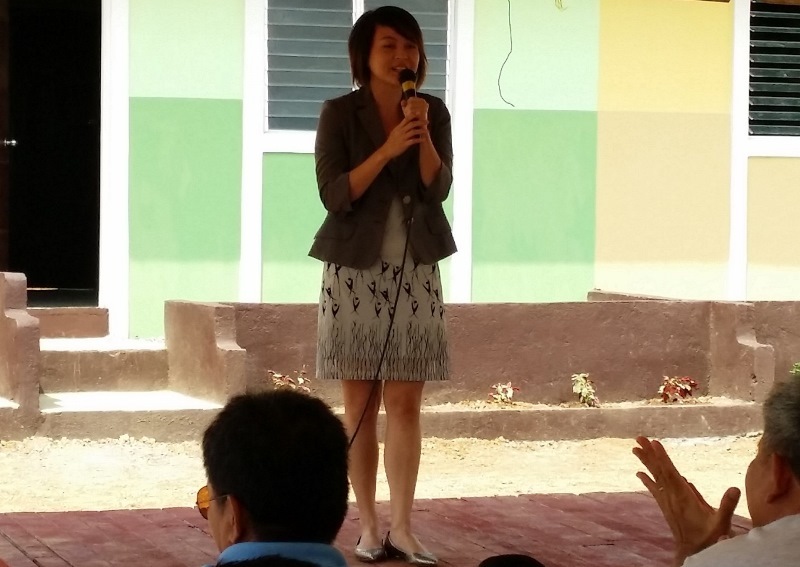 Martha of Anchor Land shared her excitement for the event and reassured the beneficiaries that their company, despite being known for their high end condominiums, gives as much importance, or even greater, to their socialized housing projects such as this one. Aside from the turning over of the houses, livelihood opportunities were also discussed by Luis Oquinena as he spoke to conclude the ceremony. Anchor Land, a high end condominium developer, signed their first agreement with GK last July 2012 pledging for 30 houses, which were turned over to the beneficiaries a year after. In addition, Anchor Land signed a second agreement with GK giving way for 110 families to move in by early 2014. The ground breaking for the 110 houses was held last June 2013 with the construction starting on September and finishing on February of 2014. This partnership came about as part of Anchor Land’s compliance with the socialized housing requirement set by the Board of Investors (BOI) upon registered vertical housing developers in 2011. There are only three organizations involved, with Gawad Kalinga being the first organization to be accredited. The two other organizations are Habitat for Humanity and ANCOP. The families who received keys to their new homes that morning are among the poorest of the poor in Trece Martirez, Cavite. Four of those families are Typhoon Yolanda survivors. They boarded the plane from Visayas to Manila and asked to be brought to Cavite because the knew they had relatives there. Today, these families now have a safe and secure community where they can start rebuilding their lives. With more people expected to come in, the Bayanihan GK Village in Trece Martirez is well on its way into becoming a thriving community. Close to five months after Typhoon Yolanda devastated Visayas, Gawad Kalinga is now in the reconstruction phase of Operation Walang Iwanan, rebuilding the homes of survivors. In parallel, the work of proactive reconstruction is still ongoing in other parts of the Philippines. Like Anchorland, you too can help relocate families from danger zones to safe and secure communities even BEFORE the disasters strike. Click HERE to find out how you can help.